Is The Tour de France Boring? 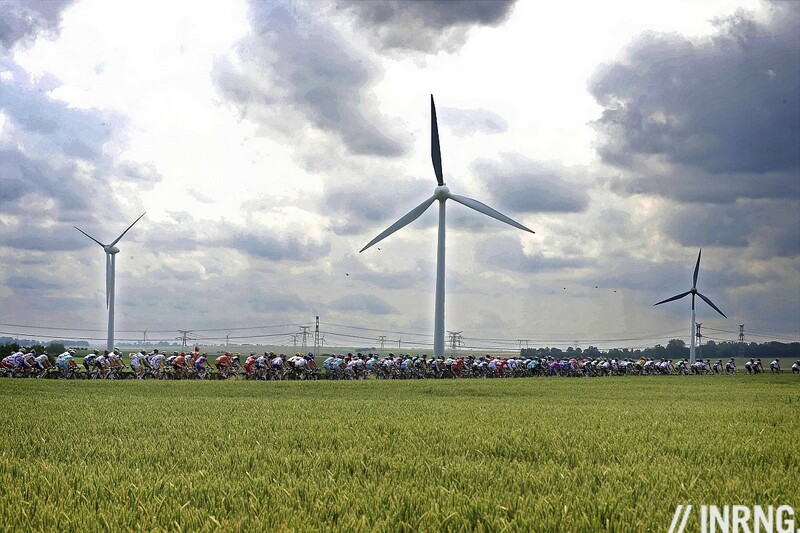 The last few stages of the Tour de France have not been the most exciting. Cyclesport’s Lionel Birnie has a good piece on the topic. The stage starts, the gears clunk and a few riders are given a day ticket to escape the bunch on the condition they return, like residents of an open prison who must return before nightfall. Things only come alive in the race in the final minutes. Four hours of racing for four minutes of action. L’Equipe today describes yesterday’s stage with tales of broken alarm clocks, hammocks, snoozing, snoring and says the riders “only fell out of bed with three kilometres to go”. Is the Tour de France boring? No, it is still the best race of the year but it can’t offer non-stop adrenalin. It is impossible to have action every day for three weeks. The weather has been benign in the opening week, no heavy rain for hours to dampen the spirits of the bunch, no crosswinds to prise apart the peloton. And there’s geography, whilst France has several mountain ranges, slice the country in half on a diagonal basis from the south-west to the north-east and the land in the upper left section is flat. By definition if you tour France then you have to cover a lot of neutral terrain. The reason why we get three sprint stages in a row unbroken by a hill finish is that there’s simply not the terrain available for a variety of finishes, especially when you consider the commercial imperatives of finishing in a large town who will pay for the stage. But if you think this was boring, go back a few years. Particularly in the 1990s the race was incredibly formulaic with a prologue and then a first week of sprint stages, perhaps only interrupted by a team time trial. Only I suspect we’ve forgotten the stupor and when we recall past vintages only the highlights come to mind, whether the big attacks in the mountains or the sprint prowess of Cipollini. These days we get some excitement in the first week, for example we have had two uphill finishes this year already. There are some calls for time bonuses to come back, where riders win a deduction in time, eg 10 seconds for first place in a stage, six seconds for second place. We had these in the 1990s when the race was even more boring in the first week but it did mean the yellow jersey changed shoulders a few times. This week Fabian Cancellara has to go to the post-stage press conference and repeat himself: “thanks to the team“, “it is great to wear the yellow jersey“, “I want to keep it tomorrow“. Actually I’ve made up these quotes but he’s probably said identical things. With time bonuses you could get some changes in the race. Nevertheless whether it is deliberate or subconscious, race organisers ASO are increasingly designing the race for TV and if the audience are switching off, or tuning in for the final minutes then this is bad for business. Time bonuses could be a solution here, particularly if applied only in the first week. And here’s an idea: award them at the intermediate sprint. This way people have to tune in to watch the race mid-stage. Although if this happens then no breakaway will be allowed to get time as the yellow jersey or teams aiming for yellow will put a lock on the race. For the sake of thought, what makes the Tour so exciting? It is the summit finishes when riders start attacking. But if every stage had a summit finish for three weeks then the pecking order would be established within a few days and there’d be no point watching. And on a flat day it’s absurd to expect riders to attack like crazy when several teams have sprint trains with the strongest rouleurs in the world getting paid to control the race. It’s not basketball where someone scores points every few seconds; cycling is all about the gradual attrition of riders over the hours, it’s why the winning margin after three weeks can be measured in less time than it takes you to read this piece. We’ve had three sprint stages in a row across dull terrain but everything is about to change. Tomorrow finishes on top of a mountain with double-digit gradients and the real excitement starts… although this can mean the action begins with 20 minutes to go instead of five. Perhaps the boredom is our fault? We expect the biggest race to be the best, not just in the sum after three weeks but that every day should provide action on a higher level. This is impossible and decades ago the press resorted to giant exaggeration to make the race come alive in print, the mere act of applying another five watts to the pedal stroke was transformed into tales of “merciless attacks”, “pitiful weakness” and “spectacular collapse”. If you’re bored by three hours of live TV of a pack of cyclists riding across featureless French countryside… then that’s probably your fault for sitting down to watch the whole stage when every single preview warned you “sprint finish likely”. I think Cycle Sport have a point when they point at the lock-down on the jerseys which haven’t changed this week but just how far can ASO engineer things? You can’t count on Michael Morkov going up the road three days in a row. Instead the race is about a few key moments of drama and they are worth waiting for. I suspect ASO might look to change the rules but patron Christian Prudhomme has stated several times he doesn’t like the artifice of time bonuses, preferring the winner to be determined by the actual time taken rather than synthetic awards. For now if you’re watching the Tour live on TV, enjoy the sprints and treat the opening days as training for the stages that will be broadcast in full. This Sunday the whole stage will be shown live on TV, from the start to the finish. There is a lack of competition this year with Andy shleck and Alberto Contador absent from the race. Barring some unforseen disaster bradley wiggins will lead the rest of the way. The worst part is there is noone to challenge him. It’s simply seeing what stage racing is all about. They’re all the same. It’s just the more ‘immersed’ in the sport you get the more you tend to start thinking “seen this all before” on the flatter stages. As long as there are old French farmers willing to drive their tractors in circles live in beautiful HD, the TdF will never be boring! Definitely not… its nearly midnight here in Australia and I’m staying up to watch the race.. About 86km to go! The area of France and Belgium that the race has started in means that there are very few hills that can trouble any of the riders and without the presence of Cat 1 and 2 climbs the peloton are going to stick together and no one will risk expending any energy to try and steal a few seconds. A small change- keep the same number of intermediate sprints for the race as an overall, but take them away completely from the high mountain stages and add extras to the flat stages. Might encourage the sprinter teams to drive things a little more; to go after escapes. Call me odd but I tend to find even the most ‘dull’ stages interesting. I think watching professional cyclists ride effortlessly through beautiful countryside is immensely relaxing. Any excitement during or towards the end of the day is just a bonus. I’d like to see more hilly, but not mountainous stages. Occasionally, those provide for fantastic racing at the Giro. You’ll get breaks, attacks, and if things are done right, even an attack or two by one of the big guns. Sometimes they gain a few seconds, sometimes they don’t, but it really livens up the racing. I can’t speak to the effort, maybe too many nervous stages like that would be too difficult, but that kind of terrain certainly works for one-day races. One problem here is that the hilly region of central France is relatively unpopulated and harder to organise a stage finish. There are fewer towns and cities and of these, fewer have the money to pay. To be honest, many of the sprint stages have been dull butbwhen you think about it the stage to Rouen and today’s stage have the terrain to blow the race apart in cross winds. I suspect that with windier weather, these stages would have been great to watch and decisive for the race. The uphil finishes were good but I’d like to see ASO find some circa 2 km really steep climbs instead of <1 km at 5-10%. In the Vuelta and Giro they do it and this causes some small time splits which can change the overall lead and suit a different type of rider altogether. I like it as it is, and I think ASO know that there’s a lot to be said for letting the race build up steam over the first week before getting into the really tough stages. It gives a chance to introduce the race, introduce the riders and let everyone settle in with a few sprints before it really toughens up. Also, if they messed around with it, would they get as many sprinters entering if there wasn’t a good week of flattish stages at the start? That said, I wouldn’t be surprised to see time bonuses come back at some point in the next couple of years, especially when someone points out that Cavendish has won a ridiculous number of stages but never worn yellow. I don’t know if we’ll get time bonuses. I think we will get a pure sprinter stage for a Grand Depart soon so Cavendish will have his shot at the jersey even if only for a day. I don’t find the tour’s early stories boring, rather that they are incredibly formulaic. Yesterday’s stage was the most interesting so far as the breakaway almost succeeded. Perhaps the race directors could make these flat stages to suit the breakaway rather than large sprint trains. It’s nice to see how dominant Sagan is, but sport is also about the underdog succeeding, right? It is an endurance sport. Name me an endurance event that offers full-time excitement! In fact I am sure that the hundreds or thousands of kilometres at a steady pace at the beginning and middle of the flat and transition stages that play a big role in stripping the energy from the riders and makes the best stand out from the rest. 1) It is not “the summit finishes when riders start attacking” that makes the Tour, or any other race exciting. It is the attacks, but especially the chase, and the time gaps moving unpredictably. On any terrain. Basically this and also the images of supreme agonistic effort. On any terrain again. (My favourite: when a little bunch of 4-5 riders is chasing another little bunch of 4-5 riders on a flat segment, after a marathon of mammoth cols, or Liège-like hills). 2) It’s true that the Tour’s first week has always been basically this flat (not always) or more (but it wasn never this boring). A flat 1st week it plays its role of attrition, and that we all should be able to live with this by now. 3) The fact that breakaways no longer succeed should make us think. Too many sprinters? Too many sprint-focused teams? Too modest guys escaping? History: take 1991, and the 234km successful breakaway by Thierry Marie, who had won the prologue (just imagine Fabian C. trying to achieve this). Take 1986, or 1987 (the first anglo-saxon victories) packed with ambushes by favourites in about every flat or flattish stage. …i would blame the important riders’ conservatism first… GPS has also been a curse for breakaways (it should be banned). 4) Distance. I will never say this enough. If as recently as 1990, we had, again in Normandy, a stage 301km long (which obviously didn’t finish in a sprint but with a smart solo attack with 100km to go) without carbon frames, heartrate monitors, contemporary roads and whatnot… what should be the distance of a stage that demands the same effort, with up-to-date material? 350km? more? 5) What’s more: more distance=less speed=more safety and less drafting. Monday: a tremendously long flat stage (300km minimum). Maybe a sprint, maybe not, yellow could change shoulders. Tuesday: double sector (this was always GREAT). Morning: short flat stage. Maybe a sprint, maybe not, because people will want to save energy for the Evening: very long TT (90km minimum), so that the GC continues to take shape, and we create incentives for future long-range operations. Wednesday: Roubaix cobbles (Arenberg, Carrefour de l’Arbre, etc..) More GC action, and unpredictable stage finish. Tuesday: Ronde van Vlaanderen cobbles (Kappelmuur and all that). More GC action, and very unlikely sprint. Wednesday: another flat ultra-marathon (best along the coast, to get some echelon-inspiring wind). Thursday: Liège-like hills. Distance should be quite enormous too, so that 5.000m ascent is possible. Friday: fairly long individual TT. 70km. Pure GC action. Everyone will have to watch. We will know who will not win the Tour. Saturday: mid-mountain with 8-10 2ème mountain passes or so. Sunday: first gigantic mountain stage (4-5 H.C or 1ère mountain-passes) but without a mountain-top finish. Climbers will be impatient to get something done. Even with this route, given contemporary riders, I’m sure we would have quite a few boring days. But at least the route would prevent it to the maximum. But, most of all, we should continue to criticize harshly prudent, conservative riders (99% of the existing peloton) for giving so few reasons to watch and admire. I hope you’re joking. Only someone who has never raced professionally would suggest such a suicidal course. Not joking at all. Merckx or Bahamontes (to mention people who are still around) would think it’s a joke to think it’s a joke. Perhaps they should have another ‘jersey’ that the worst/laziest/idiot rider of the day wears the next day i.e opposite to the combative. A bit like a ‘dunce cap’. Best idea yet! They could call it “The Farrar”. That could be awarded to the journo’s too… Especially the ones who type up a few hundred words like that guy’s, in between stuffing their face with free food at the press tent. Well there goes today’s “boring” tag after several crashes. I wanted to explore L’Equipe’s complaints and Cycle Sport’s points and Lionel Birnie makes the point that you watch these points almost waiting for crashes. It’s a shame the stage comes alive because of this negative form of drama. Such is the world of professional sports. And you’d want them to do another two weeks after that lot!!? The TdF isn’t a short story, it is a novel. The first week is for introduction of the characters, then planting the seeds of the drama to follow. Sure, the racing is formulaic, but the stories are different each year and unfold stage by stage. Cavendish left unsupported by his team and crashes out of the sprint. Farrar, crashing. Then crashing again. Then crashing yet again and peeved at another team and rider. Which riders will feel slighted and carry a grudge for stages to come? Meanwhile, the big dogs try to maintain a presence yet stay out of trouble; knowing that a moments inattention of bit of bad luck could mean the end of their hopes. The TdF needs to ramp up slowly – if every stage was an edge-of-the-seat nail biter I would be unemployed before the end of July. I am not a fan of “tricky” early stages. This is the Tdf, not some Japanese game show! When was it that one of the early stages featured a stretch of Paris-Roubaix type cobbles? That put crazy stress on the GC teams as they knew if the weren’t among the first ones to the narrow entrance of that treacherous stretch their tour was likely over in the first week. I seem to remember one of the GC contenders crashing out in that stretch. Lots of interesting comments, and nice to see many have a patient view of things. “It’s not basketball where someone scores points every few seconds.” Nail. Hammer. Head. I don’t see the flat stages being boring in the race. There’s lot of tactics involved even in these benign stages. Although I would love to see time bonuses being awarded in the first week. I feel that pro-cycling is a sport for serious followers and tweaking it to suit casual audience will take away some of the romance of bike racing. As a certain football manager once said “if you want entertainment, go to a circus”! Looking at other cycling races in the lower categories (Juniors, U23..), it appears that those races are hardly ever boring, lots of attacks going all the time and sometimes the GC is shaped by attacks on flat stages and leaders caught behind. This is never happening in Pro Cycling anymore. Why? Very easy answer: Because the teams are too big. With 9 athletes in a team, you close every gap, chase every group down. The solution would be to decrease the number of riders per team to 6 and to increase the number of teams by 3 or 4, thus leaving the overall number of raiders in the peloton (and the staff) unchanged. In mathematical modelling, you call this “increasing the degrees of freedom”. The more degrees of freedom you have, the more difficult it is to get a suitable model to predict an outcome. Smaller teams have been looked at by the Giro and the Tour organiser said he would be interested in studying it. But the UCI might say no and teams themselves would reject it. As well as large teams, even small ones of six would be organised, especially when joining forces to bring a break back. But it would make it different; it’d worth experimenting in a week-long stage race. Sure the teams are not interested, as the current team managers will lose power! If you want to shape the future of your sport, you must not ask those that profit from the current situation, as, of course, they do not have any incentive to put their privileged situation in jeopardy. Why would the teams reject smaller teams? Less costs no if overall team members drops by 5 riders. $1 million less in budget. Easier to get sponsors. Very true! And more places for riders becoming leaders in their (smaller) teams, more sponsors seeing the possibility to get invites for big races and media coverage, so better for the sport. Because right now there’s about one stage per team. Have 40 teams and the odds of winning a stage reduce quickly. It could be good to watch but existing teams won’t want to give up their privileges for nothing. Female Pro teams are made up of 5 riders if I remember correctly, and it certainly leads to more unpredictable racing, with less control by a team/s. Each rider also tends to be less specialised, IMO making races more interesting. Too bad there’s next to no coverage of their races. Fully agree. Women´s racing with 5 or 6 has much more open race scenarios compared to men´s racing. And so does U23 and Junior racing. I do not think that “teams joining forces” will have that much of an impact on racing. The current “Super Team” structure with very few competitive team is paralyzing the racing and the only drama other than Time trials and mountain Top finishes comes from crashes and mechanicals (such as during today´s stage). Give time bonuses on flat stages only so that they do not affect the long term GC. The Tour is never boring, just on occasion maybe quiet. The curse of modern society is the short attention span! I love those long long Vuelta stages across baked dry landscapes, fantastic. Also I would like to see more women’s pro racing on tv. The Tour is absolutely lively compared to the paint-drying shows typically programmed for July. Lets be clear a stage race is many races in one, In most cases all of the jerseys with the exception of the yellow ( GC) maybe won without racing everyday every stage. The lone exception to that is the GC. We who follow in this blog appreciate that fact, boring should not be in our lexicon of words to describe the longest, hardest, intense and most prestige’s stage race in the world! Time bonuses are really missing. “Same time”, everytime, yes, it’s boring. Not fair to ask that question after three *boring* days of sprint stages, but there’s a reason I prefer the one day classics. GTs are so conservatively raced. Even the mountain stages are very conservatively raced, as you said. “The last 20 minutes, rather than 5”. Cyclists in Grand Tours (and stage races in general really), have to worry about the next day, and the day after that, and the day after that. You can’t go full gas for three weeks, so nobody ever puts the pedal down, and really goes for it, whereas in races like L-B-L, or P-R, there’s no tomorrow to worry about, and everybody’s giving it all they possibly can. Also, when your favourite rider loses 13 minutes in a grand tour, he’s done for the next two weeks. Lose a bunch of time in a race on Wednesday and you still have a shot at winning on Sunday. Here, here Matt…just gutted over Ryder’s day, and Garmin’s bad luck overall. Feel bad for him, as he usually has away of coming away cleanly during these dicey stages. It’s been an especially trying first week, both for the guys in the saddle, and the fans. I’m with Matt! If it becomes a long slow death match between Evans, Wiggins and Menchov up until the final ITT I won’t be watching as it becomes predictable and totally boring. I am sure that there will be some fun on several of the individual stage wins but it won’t matter if they are down 10 + mins in GC. having 5-6 guys all capable of having a good day and taking the lead or at least being within a minute of each other is way dramatic and worth watching. Hey you Canadians, back away from the molsons. Watch for the Italians and Spaniards in the mountains thy will not be boring, they may not win GC but not boring. GC Battle has been boring as hell this year, but every stage has had it’s moments of amazing glory and drama. LL Sanchez attacking from 10k away, Thibeault Pinot winning from the break at 22, in his first tour. Millar winning a stage, Voeckler attacking Kessiakoff for days and going first over a bunch of Cols to try and keep the polka-dot jersey. If you look at it as one big race? Boring. A new race, every day, for three weeks? Fun! if the Tour, arguably the greatest and most well known event in modern cycling, is boring … well what does that make the lesser events and why are you wasting your time writing a blog about it? See? Now watch the fun as everyone chirps up! and in all seriousness, what stage did you watch today that prompted you to ask if the Tour was boring? Did you have Iron Chef on again by mistake? I like the idea of six man teams with NO radios. The chances of the break sticking will go up 40%. Teams will have to be very attentive and organized. They will also have to be more specialized. Strictly stage hunters or GC teams. Keep the same number of teams and the pack will be smaller and safer. Team budgets will also be smaller. Call it austerity racing. The Tour is exciting–when most of the GC riders don’t crash out in the first week (this year) or week and a half (last year). Sadly, watching BMC and Evans is like watching paint dry and Wiggo has the personality of a lemur. Excessive TTs can also be a snooze (the one at the Giro was a notable exception). And now with the GC being decimated and we’re pretty much left with Evans and Wiggo (give or take a darkhorse or two), I feel justified in switching over to the Tour of Poland, which I’ve always wanted to see. Go Thor and Tomeke! That is true, watching GC champions ride on the wheels of other competitors for three weeks can be a snooze. Watching people box may be boring too, so is flying on a jet. so are many things at any given moment. Very little is exempt from being boring or tedious or predictable. Watching Phil and Paul is OK, they are quite knowledgeable but sometimes their bias for riders of the English speaking world is evident, maybe because they speak to a US audience and there are many ads on NBC so it is easy to fade mentally with so many disruptions. Watching Euro Sport where their commentators are also knowledgeable with less ads (or shorter ads) makes it a better learning experience and they are balanced in their views. But am sure that is a matter of what people want as a spectator. All in all, it is a great sport and their athletes are superb and the competition from the day classics to the longer tours are something to look forward to view online or on TV. whether or not it is touched by the realness of being slow or predictable once in a while. I don’t find it boring, however I would love to see GoPro or similar cameras on everyone’s bikes. If you go to the the GoPro site and look at their footage of the AmGen, it is stunning… far better than anything I have ever seen from a motorcycle. How they would manage 100 some-odd feeds, plus all the normal feeds might prove interesting, but I think it could actual prove to be a revenue stream for the UCI if they allowed people to stream the race from the handlebars or seatpost of their favorite rider or the person in front of them. That all said 4+ hours of anything does lend itself to boredom, which is why I download the stages and watch them at 1.4x. I don’t think changing the points or intermediate stages has proved successful in the past, I think focusing on making the racing more interactive and using the latest technology could resolve the viewing populous’ ADD. Someone is raising their kid right. It’s only boring if you’re watching in the US with Phil, Paul and Bobke commenting. The funny part is, he not only speaks French like a native, but Flemish and Dutch as well. Tour Day France is shtick. The Tour de France is NEVER boring….! Basta. Look at all the details, the route, the equipment, the riders when riding, the riders when crashing, the faces of the riders, the riders position on their bikes, the mechanics when changing wheels after punctures, all sorts of interesting details ….. In Denmark we have Rolf Sørensen and Jørgen Leth as commentators for danish TV-2. Live television without commercial breaks! They are doing quite well. Sørensen as an inside peloton expert and Leth is the perfect story teller. VIVE LE TOUR! Ugh. Arguing that the TdF is boring because the the ‘action’ happens at the end of the stage is similar to arguing that Hamlet is boring because he procrastinates and could kill Claudius near the beginning of the play. If he does, then there is no play! If the all the stages of the Tour were decided in the first 10 minutes, there wouldn’t be a race! There’s no problem with boredom on those flat stages. Problem is the expectations and the fact that nowadays such stages are covered in nearly full length. I can remember back in the days TV was live 20-30 minutes before the finish of such stages. Now we have 3-4 hours to fill with babbling commentators and not much to see except beautiful landscape. What’s boring is fat lazy English cycling journalists like that guy, whoever he is. Indistinguishable from groupies, making themselves the story most of the time, when they’re not blabbering on about their man crush for Cav that is. Unsure if they’re trying to be funny or just writing another grumpy rant. Was over that guy before I even bothered to read his latest self indulgent piffle, because he’s dime a dozen in the sport unfortunately. Just read this (following link from “http://thestoryofcycling.wordpress.com/2012/07/11/is-anyone-having-fun-or-is-this-boring/”.) Personally I am not finding this Tour boring at all. Perhaps the events of the stages since this post was written have coloured my judgement but I don’t remember being bored last week either. For me each moment of each Tour is infused with thoughts of what happened the day before, what might happen the next day, what happened in the last few Tours and what it all might mean for the next year. In other words, if nothing unexpected or exciting is occuring at a given moment, don’t worry there is another opportunity for that to change coming along shortly. Good points. My concerns (or rather the race organisers) are to make the first week more interesting. This year’s Tour has been boring, up through and including today (the weirdness of the tacks on the road notwithstanding). I wish I could say otherwise. The sprint stages have always been boring, and really have no place in a grand tour, IMHO. The tours are — should be — endurance races for endurance racers. The whole idea of a sprinter winning anything that covers 100+ kilometers is goofy. If the organizers feel they absolutely must have a reason for sprinters to show up for endurance races, line the 4 or 5 of them up 1k from the finish and let them have a go while the real race is still out in the hills. Heck, you could have a sprint stage every day, and also have a real, meaningful endurance race every day. The real problem, though, particularly this year, is the GC guys basically neutralize the race most days, which is why the peloton stays bunched up for hours. The result is the standings get decided more by who’s unlucky enough to get caught in the crashes caused by that traffic jam than by who’s getting out there and doing the best racing. Just look at this year. We’ve finished 14 stages — 14! — and the only real GC racing that has happened was in the bleedin’ time trial. Wiggins killed in that. In every other stage, he’s just tooled along behind his boys all day, doing nothing worth mentioning. I like Wiggins; I’d like to root for him; but he isn’t racing. Evans clearly doesn’t have the legs or the team to make up the time he lost during the tt, has made only a couple of attempts to do so, and those incredibly feeble. Nibali, meanwhile, has done nothing but follow Wiggins around. The only guys doing anything respectable are the guys who get out and attack. (I include Sagan in that group, who has shown he deserves not to be relegated to “sprinter” status.) EuropeCar ought to be declared the team winner for the effort their guys have put in, day after day, while the supposed stars are playing footsie. When you’re two thirds of the way through a 21-stage race and have had only 1 day of real racing, yes, that’s boring. It’s practically the definition of boring. I watch it because I love cycling, and I love the history of this race. But I wish I could respect what’s happening in it these days. >Although if this happens then no breakaway will be allowed to get time as the yellow jersey or teams >aiming for yellow will put a lock on the race. If they have to do that every day then even Sky would get very tired, which will open up the race.